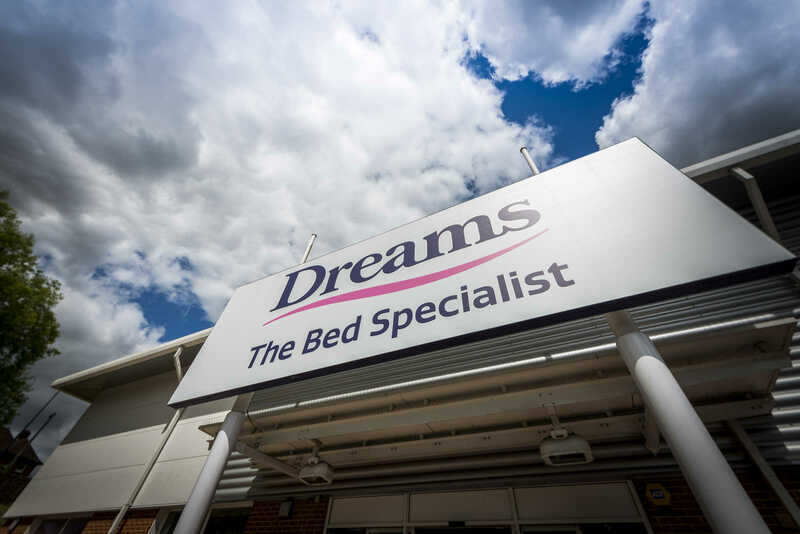 We have been helping Dreams with their retail identity following a successful design pitch. 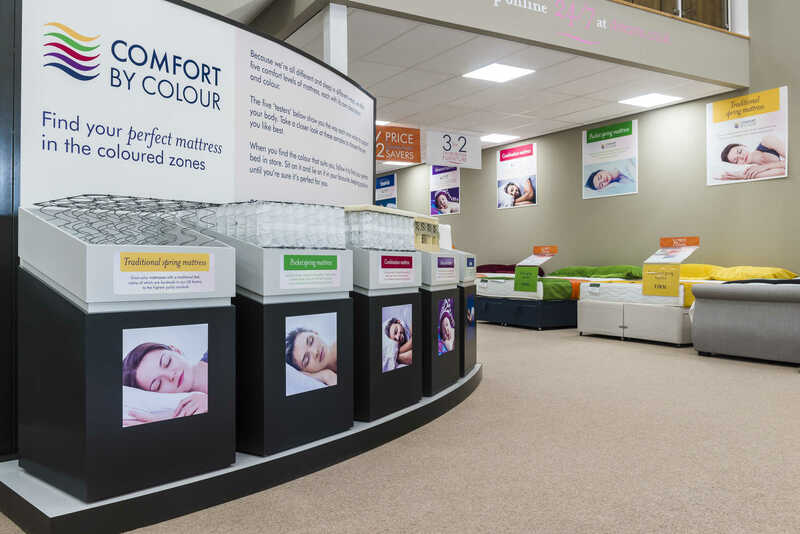 The new store design focused on evolution of the current store design rather than revolution allowing simple and effective changes to aid customer journey and product selection. The concept needed to be affordable and scalable in order to roll out to big box units as well as high street locations taking into account area and demographic. 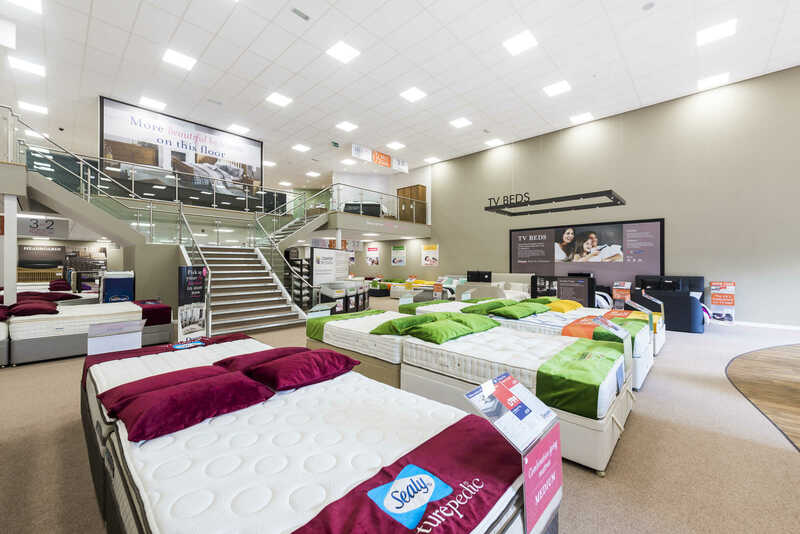 Key areas in the store were addressed such as mattresses and bed frames where clearer navigation and segmentation were added to aid navigation around the store. One of the biggest design features is the addition of the softer material and colour palette which compliments the existing brand colours of pink and Dreams Blue. The warm grey colour pallet gives the feeling of warmth which helps soften the large units. Soft oak flooring and new carpets have been added along with dark metal unitary making the overall design feel on trend and design led. Simple room sets have been partitioned off to allow customers to ‘shop the look’ showcasing the choice available. The design changes which have been implemented make the stores more aspirational and inviting and a more intimate shopping experience.